Foster's Guide Service invites you to experience the thrill of Striper fishing at it's finest. We are the "Texoma Connection" for the Striper fisherman. Our experienced guides love to fish and our knowledge of the Lake Texoma Striper habits guarantees you will catch fish. The liberal lake limit is 10 per person and 2 over 20". Trips are scheduled for 6 hours or until your limit is caught. If we catch a limit early, you have the option of catch and release. We are based out of Alberta Creek in Kingston, Oklahoma. Being the Texoma Connection, we also depart from various marinas in Texas. We will gladly arrange your trip from a location that works best for you. Our late model boats are fully equipped with the best in GPS and fish finding systems. For your comfort the maximum is 6 people per boat. 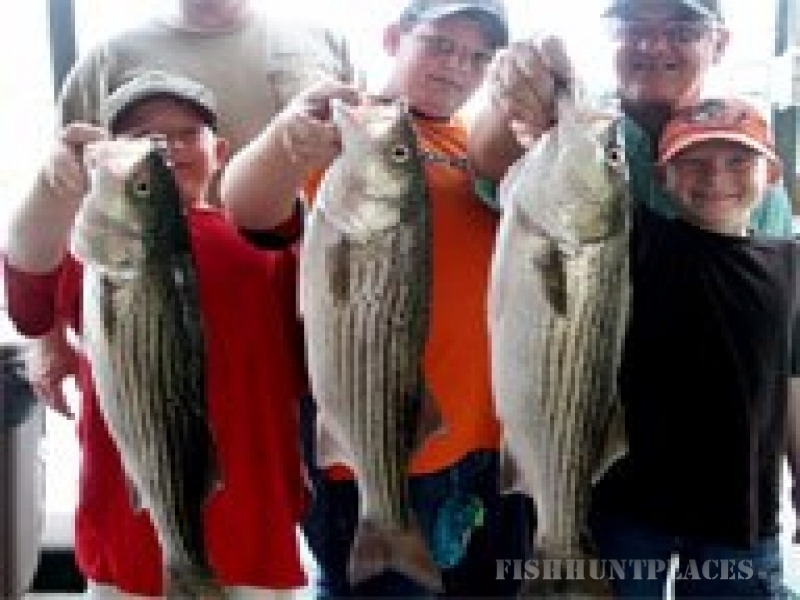 We truly enjoy fishing children and invite you to plan a day with your family and fish Lake Texoma. We also cater to Company and Corporate trips. You and your associates can enjoy a great fishing day on the lake, away from the stress of the office. Many of our clients offer a guided trip as an incentive bonus for employees or a customer appreciation day.